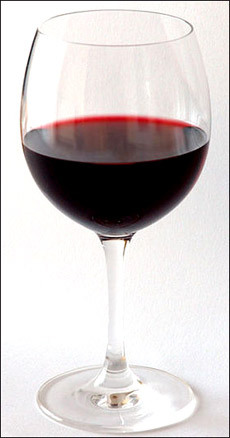 A new study by Dutch researchers revealed that wine helps promote longevity. The findings were based on the research on a total of 1373 randomly selected men, aged 50 years, and were repeatedly monitored during the period 1960 to 2000. The researchers found that men who drank less than half a glass of wine every day, lived 2.5 years longer than those who drank beer and spirits, and almost five years longer than those who drank no alcohol at all. Drinking wine has been strongly linked to lower risk of deaths from coronary heart disease, cerebrovascular disease and deaths from all causes. The results are true, irrespective of socio-economic status, dietary and other lifestyle habits associated with wine drinking and better health. Meanwhile, another new research by the U.S. researchers revealed that wine drinkers have much lower risk of developing Esophageal Cancer, one of the fastest growing cancers in the U.S. The Esophageal Cancer rates have increased during the last three decades, due to more than 500 percent increase of a subtype of the cancer, linked to acid reflux disease, known as Esophageal Adenocarcinoma, a precancerous condition. The studies suggested that drinking wine in moderation can help protect against Esophageal Adenocarcinoma or the risk of developing a pre-cancerous condition.